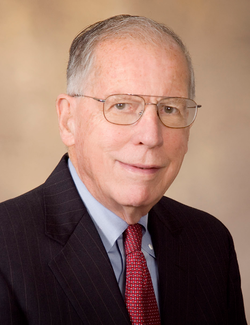 _ Former Mississippi Governor William Winter is a living legend, a paragon of civic virtue and a personal hero of mine. His lifetime of public service has been effective because he realized before most that the future of Mississippi was dependent on quality public education for all and racial reconciliation. Our community is honored to have him as the keynote speaker for the annual Martin Luther King, Jr. holiday breakfast at Mississippi State University. How fitting to hear from the namesake of the William Winter Institute for Racial Reconciliation and a member of President Bill Clinton’s Advisory Board on Race. Governor Winter also received a special Profile in Courage Award for Lifetime Achievement at the John F. Kennedy Presidential Library and Museum in Boston in 2008. The honor recognized his leadership in championing racial equality and educational opportunity in Mississippi. In the early 1990s, I had the privilege to travel with Governor Winter on a project that took us to many state capitals such as Albany, Austin and Tallahassee to visit with important officials. What struck me most as a young observer was the awe in which these leaders and intellectuals held Governor Winter. I remember thinking that I wish the people of Mississippi could see what an esteemed national reputation he has and what a great ambassador for our state he is. Governor Winter has spent a lifetime in public service working to bring us together because he knows it’s the only way Mississippi can reach its full potential. In the words of Dr. King, we are grateful that Governor Winter answered the call of his generation to start transforming a state sweltering with the heat of injustice, sweltering with the heat of oppression, into an oasis of freedom and justice.